All the new digital cameras get more and more mega pixels. That is great for resolution but means also more and more disk space is needed. 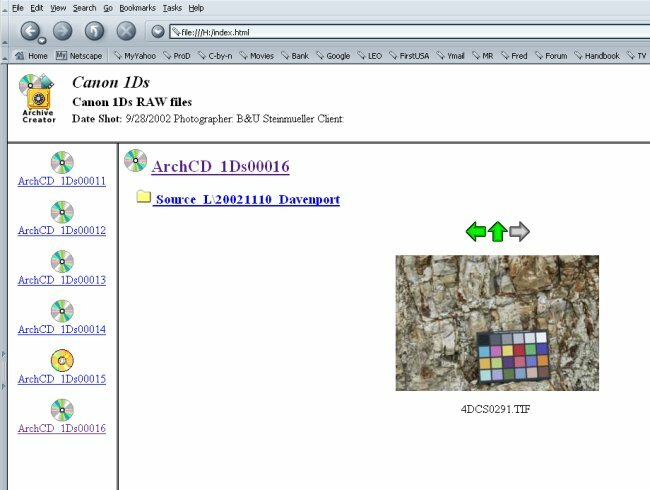 We preach for quite some time that every image (especially the RAW digital negatives) has to stored on two different physical disks at any time. So archiving the images on CDs & DVDs gets a necessity. Ok in the beginning we split all our files in different directories that each one would fit on one CD (< about 640MB). But you know what happens: a severe backlog of CDs to be created. Also the manual splitting of the files into multiple directories is annoying at best. Later finding files on a CD/DVD is also no real fun although tools like ThumbsPlus can help a lot. 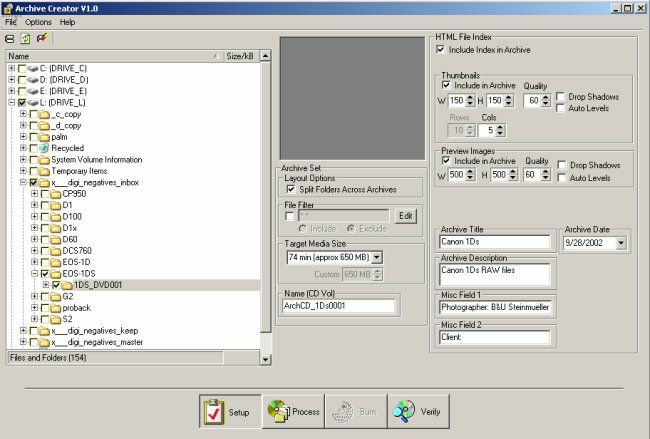 Here the new tool from PictureFlow (creator of YarcPlus - the Canon RAW converter tool) saves your day. When Michael Tapes disclosed this tool to us we were sure that this is a tool we all need. 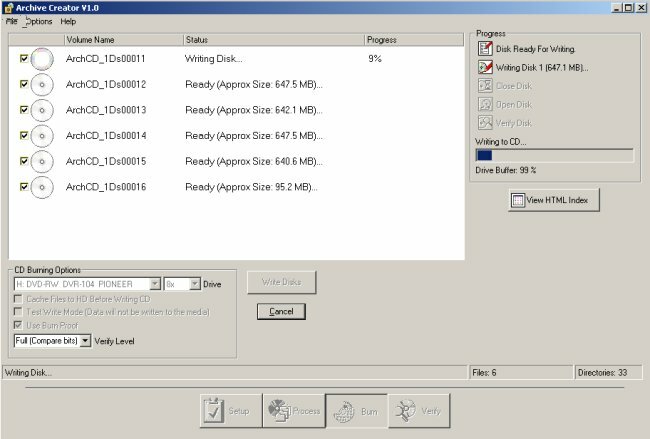 Archive Creator does the splitting of your folders/images to multiple CDs for you. But read this review carefully as this tools does a lot more than just a simple calculation how to create multiple CDs/DVDs. 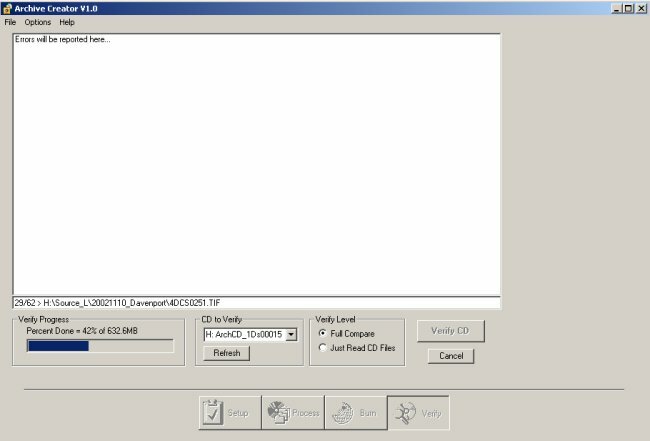 Verify all data at the bit level after burning each CD/DVD! This alone is worth Archive Creator. Want an HTML index (see later)? 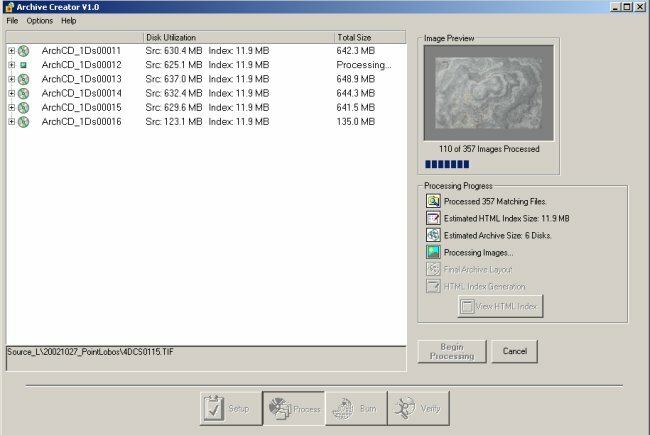 The process step prepares the images for all CDs/DVDs of the set (including thumbnail & preview extraction, HTML index creation). A very nice feature is "View the HTML Index" that allows you to review the index tree (see later) before the CDs/DVDs even get burned. This is the key step where all the CDs/DVDs get created and also verified(!). This again is a useful feature as you can ensure that your archived CDs/DVDs are still fine. The CD/DVD stores the original folders and files in a directory "Source_L" (where "L" is the original drive name). 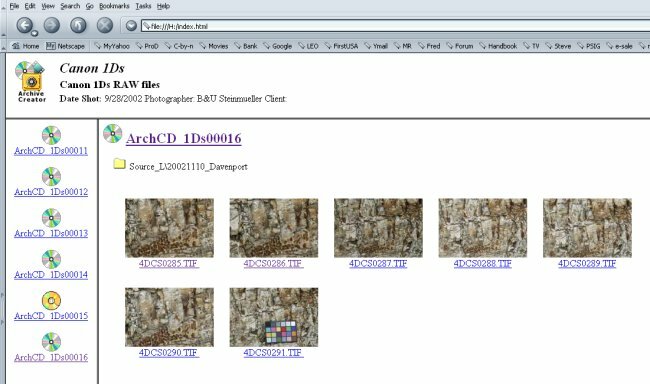 The directory "Sys" contains all the image meta information, the thumbnails and the preview images for the whole CD set. "index.html" is the entry page for navigating the full CD set. Each of the CDs of a single CD set can contain a HTML index (if this option is selected, we recommend it). Because it is plain HTML this index can be read on every PC/Mac with a browser. 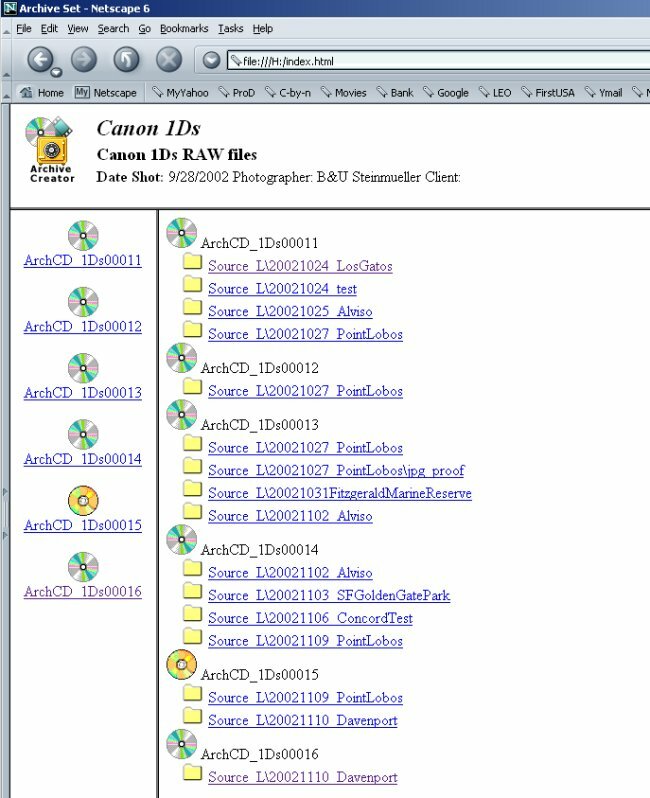 We think Archive Creator has a nice and very easy user interface with all the information and options we ask for. A free demo is available that does everything that the registered version can do except that only the first disk of a multi-disk set may be burned. Congratulations! Archive Creator is the right tool with a good implementation. Finally backup on CDs/DVDs got a lot easier. Did we say: Backup, Backup, Backup? Note: Before you erase an image completely from your disk(s) (remember to have every file on two different physical disks) create two CD/DVD sets using two different brands of good CDs/DVDs. Revisit your CDs/DVDs every year. Get your demo version from PictureFlow now!